Heated Seats, Third Row Seat, Back-Up Camera, Rear Air, Remote Engine Start, Onboard Communications System, DRIVER ALERT PACKAGE I. EBONY TWILIGHT METALLIC exterior and JET BLACK interior, SLE trim. EPA 26 MPG Hwy/21 MPG City! CLICK NOW! KEY FEATURES INCLUDE Third Row Seat, Quad Bucket Seats, Power Liftgate, Rear Air, Heated Driver Seat, Back-Up Camera, Onboard Communications System, Aluminum Wheels, Remote Engine Start, Dual Zone A/C, WiFi Hotspot, Heated Seats. Privacy Glass, Remote Trunk Release, Keyless Entry, Steering Wheel Controls, Child Safety Locks. OPTION PACKAGES DRIVER ALERT PACKAGE I includes (UKC) Lane Change Alert with Side Blind Zone Alert, (UFG) Rear Cross Traffic Alert and (UD7) Rear Park Assist, TRAILER HITCH, FACTORY INSTALLED, 1000 LB. TOWING, ENGINE, 2.5L DOHC 4-CYLINDER SIDI with Variable Valve Timing (VVT) (193 hp [145 kW] @ 6300, 188 lb-ft of torque @ 4400 rpm [256.5 N-m]) (STD), TRANSMISSION, 6-SPEED AUTOMATIC (STD), AUDIO SYSTEM, 7 DIAGONAL COLOR TOUCH SCREEN WITH GMC INFOTAINMENT SYSTEM, AM/FM with USB ports, auxiliary jack, Bluetooth streaming audio for music and most phones, Apple CarPlay, Android Auto and voice command pass-through to phone (Includes (U2K) SiriusXM Satellite Radio. (STD). 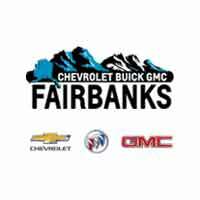 BUY FROM AN AWARD WINNING DEALER Chevrolet Buick GMC of Fairbanks sells new, certified pre-owned and used cars, trucks and SUVs in Fairbanks, Alaska. We offer financing options and incentives for all North Star Borough Chevrolet, Buick and GMC customers. Our inventory includes the popular Chevy Malibu, the versatile Chevy Traverse and the powerful Chevy Silverado pickup truck. Consider the all new Buick Verano or the GMC Sierra. Schedule a test drive at Chevrolet Buick GMC of Fairbanks today! Plus tax, title and license. Prices include $200 dealer doc fee. See dealer for Stock Numbers. Price contains all applicable dealer incentives and non-limited factory rebates. You may qualify for additional rebates; see dealer for details. Moonroof, Third Row Seat, Heated Seats, All Wheel Drive, Quad Bucket Seats, Rear Air, Power Liftgate, ENGINE, 3.6L V6, SIDI, DOHC. SLT trim, DARK SKY METALLIC exterior and JET BLACK interior. EPA 25 MPG Hwy/17 MPG City! SEE MORE! KEY FEATURES INCLUDE Third Row Seat, All Wheel Drive, Quad Bucket Seats, Power Liftgate, Rear Air, Heated Driver Seat, Back-Up Camera, Premium Sound System, Onboard Communications System, Aluminum Wheels, Remote Engine Start, Dual Zone A/C, Cross-Traffic Alert, Blind Spot Monitor, WiFi Hotspot. Remote Trunk Release, Privacy Glass, Keyless Entry, Child Safety Locks, Steering Wheel Controls. OPTION PACKAGES SUNROOF, DUAL SKYSCAPE 2-PANEL POWER with tilt-sliding front and fixed rear with sunscreen, TRAILERING PACKAGE, INCLUDES FACTORY-INSTALLED HITCH 4000 lb. towing, 7-pin wiring harness, Class III hitch, (V08) heavy-duty cooling system and Hitch Guidance, LPO, INTERIOR PROTECTION PACKAGE includes (VAV) first and second row all-weather floor mats, LPO, (VKN) third row all-weather floor mats, LPO and (VLI) all-weather cargo mat, ENGINE, 3.6L V6, SIDI, DOHC with Variable Valve Timing (VVT) (310 hp [231.1 kW] @ 6600 rpm, 271 lb-ft of torque @ 5000 rpm [365.9 N-m]) (STD), AUDIO SYSTEM, 8 DIAGONAL COLOR TOUCH SCREEN WITH GMC INFOTAINMENT SYSTEM, AM/FM/SIRIUSXM USB ports, auxiliary jack, Bluetooth streaming audio for music and most phones, advanced phone integration featuring Apple CarPlay, Android Auto and voice-activated technology for radio and phone (STD), TRANSMISSION, 6-SPEED AUTOMATIC (STD). WHO WE ARE Chevrolet Buick GMC of Fairbanks sells new, certified pre-owned and used cars, trucks and SUVs in Fairbanks, Alaska. We offer financing options and incentives for all North Star Borough Chevrolet Plus tax, title and license. Prices include $200 dealer doc fee. See dealer for Stock Numbers. Price contains all applicable dealer incentives and non-limited factory rebates. You may qualify for additional rebates; see dealer for details.